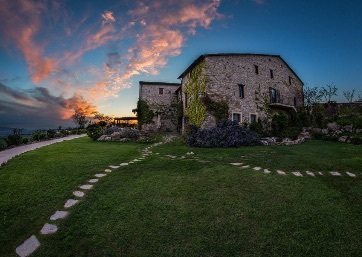 A medieval town whose history and stories are bound to St. Francis. 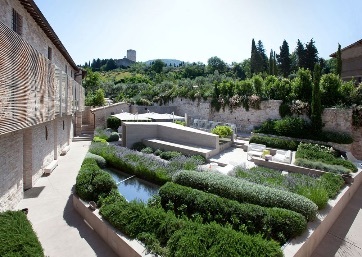 Assisi stretches out on the slopes of the Monte Subasio, above the plain where the Topino and Chiascio rivers flow. 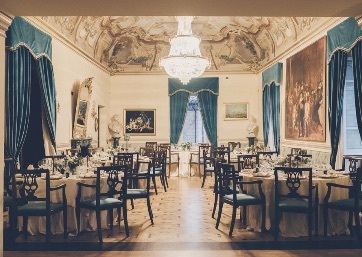 Although it can boast Roman origins, its present-day appearance is surely due to the city's development during the Middle Ages. 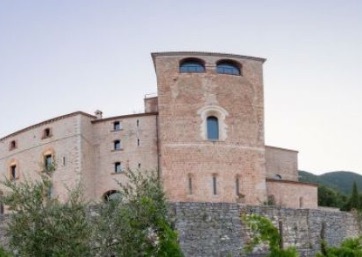 Assisi's oldest nucleus, which is protected by a defensive apparatus made up of eight fortified entrance portals and a long belt of town walls, which are still perfectly preserved, is topped by two castles on peak of the mountain: the Major Castle, reconstructed by the Cardinal Albornoz in 1367 and the Minor Castle. 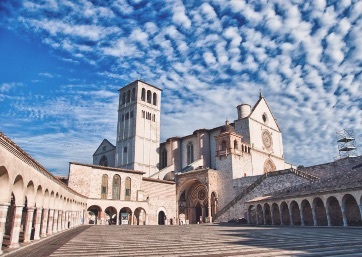 Apart from religious buildings like the heritage of Assisi such as the basilica of St. Francis, tourists can also visit the churches of St. Clare and St. Peter. 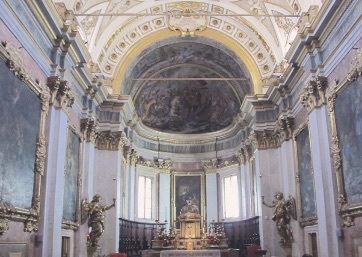 The Cathedral, dedicated to the Patron Saint Rufino, vaunts a splendid and unaltered facade with sculptures and reliefs; the interior, however, has undergone much reconstruction during the centuries which have distorted the original project dating back to the 13th century. Finally, in the plain, the impressive Basilica of Saint Mary of the Angels was built according to the plans of Alessi between 1569 and 1679 to protect the Porzuincola Chapel, which was the first simple meeting-place of the Francescan brotherhood. All those who have the good luck of visiting this splendid town have to agree with who says that the beauty of town goes beyond a short, and necessarily incomplete list of works of art more or less extraordinary, but is however to be found in the atmosphere of places which the story and the faith of the Saint have rendered unique all over the world and that are able to make a Wedding in Assisi something truly special. 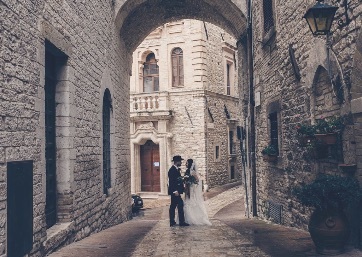 Assisi is truly a special city to Get Married and the atmosphere here is like no other town in Umbria, it is truly a magical place .